Query data analysis is a time-consuming task. Currently, a method exists where word (combinations) in queries are labelled by using an information collection consisting of regular expressions. Because the information collection does not contain regular expressions from never-before seen domains, the method heavily relies on manual work, resulting in decreased scalibility. Therefore, a machine-learning based method is proposed in order to automate the annotation of word (combinations) in queries. This research searches for the optimal configuration of a pre-processing method, word embedding model, additional data set and classifier variant. All configurations have been examined on multiple data sets, and appropriate performance metrics have been calculated. The results show that the optimal configuration consists of omitting pre-processing, training a fastText model and enriching word features using additional data in combination with a recurrent classifier. We found that an approach using machine learning is able to obtain excellent performance on the task of labelling word (combinations) in search queries. collective action for social change, such as cancer awareness campaigns. Anna’s defense was the 5000th PhD defense at the UT! Even though the human papillomavirus vaccine (HPV) is an effective and safe instrument to decrease HPV infections and cases of several types of cancer, the Dutch HPV vaccination rate has been suboptimal from the start and has even shown a decline in the last two years. This study sought to assess the determinants of HPV vaccination uptake in the Netherlands and how the vaccine and RIVM and GGDTwente messages were discussed on Twitter from 2011 till 2016. Method: All Dutch language tweets mentioning HPV from the years 2011 till 2016 were collected from a database, amounting to a total of 17319. A content analysis of all tweets was carried out manually. The content of the GGDTwente and RIVM tweets was examined as well as responses to these tweets. Furthermore, the tweets were analyzed for specific determinants of HPV vaccination uptake and general sentiments. Results: The GGDTwente and RIVM only became truly active on Twitter regarding the HPV vaccination program in 2015. The RIVM tweets received significantly more response, though this response mostly consisted of retweets. Nearly all GGDTwente tweets concerned vaccination schedules. By far the most common determinant of low vaccination uptake in tweets from the public was the fear of side-effects, with scare stories going viral in 2015 and 2016 especially. On the other hand, publications on the high number of HPV infections among women received a lot of attention as well. Overall, the general sentiment towards the HPV vaccine on Twitter was more positive than negative in the first years, but due to stories about side-effects turned more negative in 2015. Conclusions: The results show that the fear of side-effects is something that needs to be addressed by public health authorities. Additionally, more practical measures such as a school-based vaccination program may be a great way to help increase the vaccination rate. (3) exploiting multiple sources towards the detection of temporal query intent. It differs from past approaches in the sense that it will work over real-time queries, leveraging on live user-generated content. This approach contrasts with previous methods that require an offline preprocessing step. What’s so big about big data? What’s exactly ‘big’ about big data? Lecture for the “Universiteit van Nederland” (in Dutch). Whom to Follow on Mastodon? To foster an active and engaged community, social networks employ recommendation algorithms that filter large amounts of contents and provide a user with personalized views of the network. Popular social networks such as Facebook and Twitter generate follow recommendations by listing profiles a user may be interested to connect with. Federated social networks aim to resolve issues associated with the popular social networks – such as large-scale user-surveillance and the miss-use of user data to manipulate elections – by decentralizing authority and promoting privacy. Due to their recent emergence, recommender systems do not exist for federated social networks, yet. To make these networks more attractive and promote community building, we investigate how recommendation algorithms can be applied to decentralized social networks. We present an offline and online evaluation of two recommendation strategies: a collaborative filtering recommender based on BM25 and a topology-based recommender using personalized PageRank. Our experiments on a large unbiased sample of the federated social network Mastodon shows that collaborative filtering approaches outperform a topology-based approach, whereas both approaches significantly outperform a random recommender. A subsequent live user experiment on Mastodon using balanced interleaving shows that the collaborative filtering recommender performs on par with the topology-based recommender. The The 17th Dutch-Belgian Information Retrieval workshop (DIR 2018) takes place in Leiden on 23 November 2018. DIR has a diverse 1-day programme with 2 keynotes, 5 talks, 7 posters and 4 demos! The Dutch-Belgian Information Retrieval workshop (DIR) aims to serve as an international platform (with a special focus on the Netherlands and Belgium) for exchange and discussions on research & applications in the field of information retrieval and related fields. User aspects including information interaction, contextualisation, personalisation, simulation, characterisation, and information behaviours. System aspects including retrieval and recommendation algorithms, machine learning, deep learning, content representation, natural language processing, system architectures, and efficiency methods. Applications such as search and recommender systems, web and social media apps, domain specific search (professional, bio, chem, etc. ), novel interfaces, intelligent search agents/bots, and related innovative search tools. Evaluation research including new measures and novel methods for the measurement and evaluation of users, systems and/or applications. New and Emerging Applications of IR including eHealth, precision medicine, early risk prediction, incident streams, digital text forensics, cultural and social informatics, life and biodiversity retrieval, living lab evaluations, conversational and intelligent search agents, and search as learning. The Short Paper Track calls for original contributions presenting novel, thought-provoking ideas and addressing innovative application areas within the field of Information Retrieval. The inclusion of promising (preliminary) results is encouraged but not required. Papers that stimulate and promote discussion are particularly encouraged. Short paper submissions should be 6 pages in length plus additional pages for references. Understanding engagement behavior in online brand communities : how social identity relates to frequency of interaction and tweet sentiment. This study explains engagement behavior in online brand communities based on data of Twitter users who present different types of social identities. For this, we examined fifteen online brand communities that are popular on Twitter and originated from fashion, fast-food, gaming, cars, and sports sectors. In total, 27,143 twitter messages were analyzed from 22,333 unique Twitter users. We used the Twitter user’s profile descriptions to classify their social identity with the help of computational methods such as Machine Learning and Natural Language Processing. To study the engagement behavior of the Twitter users, we calculated the tweets sentiment and the frequency of interaction between Twitter users and online brand communities. We found that tweet sentiment and frequency of interaction vary significantly between different social identity groups when mentioning different online brand communities. This result is important for online brand community managers to understand what kind of Twitter users interact with their online brand community and how these users engage with the community. Right now, they might only investigate demographics about the users but do not consider the user’s self-presentation online. 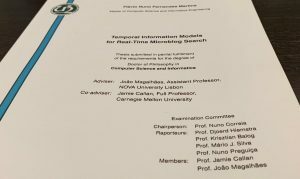 Furthermore, we made a theoretical contribution by including a larger dataset, by performing computational methods and by exploring multiple online brand communities from different sectors. Logical document structure extraction refers to the process of coupling the semantic meanings (logical labels) such as title, authors, affiliation, etc., to physical sections in a document. For example, in scientific papers the first paragraph is usually a title. Logical document structure extraction is a challenging natural language processing problem. Elsevier, as one of the biggest scientific publishers in the world, is working on recovering logical structure from article submissions in its project called the Apollo project. The current process in this project requires the involvement of human annotators to make sure logical entities in articles are labelled with correct tags, such as title, abstract, heading, reference-item and so on. This process can be more efficient in producing correct tags and in providing high quality and consistent publishable article papers if it is automated. A lot of research has been done to automatically extract the logical structure of documents. 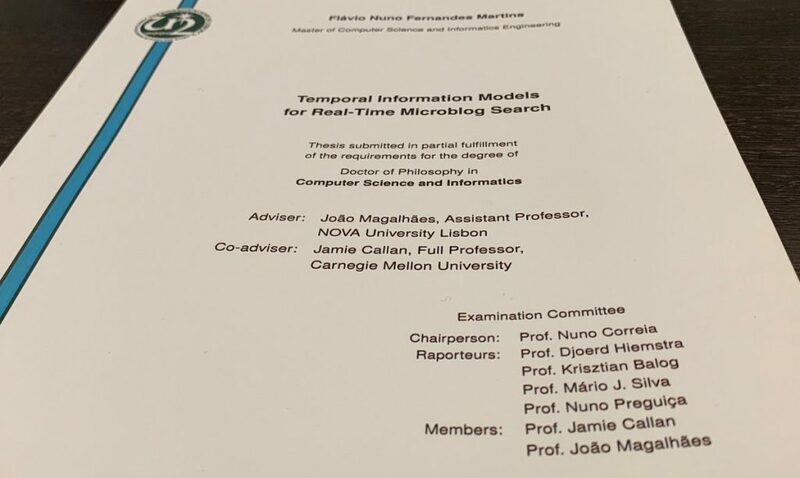 In this thesis, a document is defined as a sequence of paragraphs and recovering the labels for each paragraph yields the logical structure of a document. For this purpose, we proposed a novel approach that combines random forests with conditional random fields (RF-CRFs) and long short-term memory with CRFs (LSTM-CRFs). Two variants of CRFs called linear-chain CRFs (LCRFs) and dynamic CRFs (DCRFs) are used in both of the proposed approaches. These approaches consider the label information of surrounding paragraphs when classifying paragraphs. Three categories of features namely, textual, linguistic and markup features are extracted to build the RF-CRF models. A word embedding is used as an input to build the LSTM-CRF models. Our models were evaluated for extracting reference-items on Elsevier’s Apollo dataset of 146,333 paragraphs. Our results show that LSTM-CRF models trained on the dataset outperform the RF-CRF models and existing approaches. We show that the LSTM component efficiently uses past feature inputs within a paragraph. The CRF component is able to exploit the contextual information using the tag information of surrounding paragraphs. It was observed that the feature categories are complementary. They produce the best performance when all the features are used. On the other hand, this manual feature extraction can be replaced with an LSTM, where no handcrafted features are used, achieving a better performance. Additionally, the inclusion of features generated for the previous and next paragraph as part of the feature vector for classifying the current paragraph improved the performance of all the models.